Koc S, Leisenring W, Flowers ME, et al. Therapy for chronic graft-versus-host disease: a randomized trial comparing cyclosporine plus prednisone versus prednisone alone. Blood. 2002;100:48-51. Martin PJ, Storer BE, Rowley SD, et al. Evaluation of mycophenolate mofetil for initial treatment of chronic graft-versus-host disease. Blood. 2009. 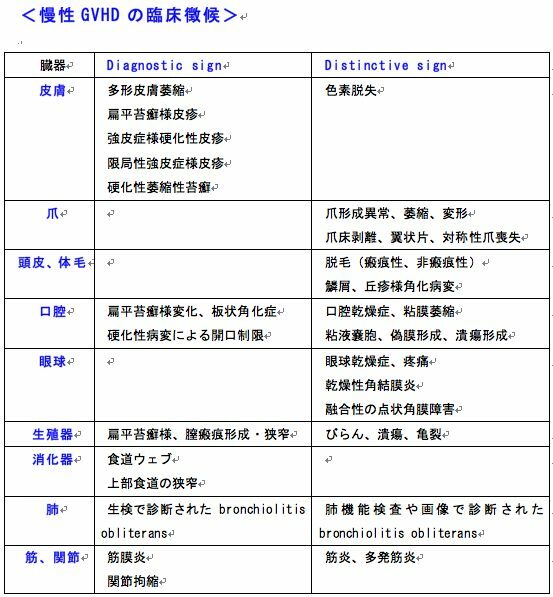 Sano Y, Date H, Nagahiro I, Aoe M, Shimizu N. Living-donor lobar lung transplantation for bronchiolitis obliterans after bone marrow transplantation. Ann Thorac Surg. 2005;79:1051-1052. Couriel DR, Hosing C, Saliba R, et al. Extracorporeal photochemotherapy for the treatment of steroid-resistant chronic GVHD. Blood. 2006;107:3074-3080. Bashoura L, Gupta S, Jain A, et al. Inhaled corticosteroids stabilize constrictive bronchiolitis after hematopoietic stem cell transplantation. Bone Marrow Transplant. 2008;41:63-67. Le Blanc K, Frassoni F, Ball L, et al. Mesenchymal stem cells for treatment of steroid-resistant, severe, acute graft-versus-host disease: a phase II study. Lancet. 2008;371:1579-1586. Gatza E, Rogers CE, Clouthier SG, et al. Extracorporeal photopheresis reverses experimental graft-versus-host disease through regulatory T cells. Blood. 2008;112:1515-1521. Mielcarek M, Storer BE, Boeckh M, et al. Initial therapy of acute graft-versus-host disease with low-dose prednisone does not compromise patient outcomes. Blood. 2009;113:2888-2894. Takami A, Mochizuki K, Okumura H, et al. Mycophenolate mofetil is effective and well tolerated in the treatment of refractory acute and chronic graft-versus-host disease. Int J Hematol. 2006;83:80-85. Aoki N, et al. :A comparative double-blind randomized trial of activated protein C and unfractionated heparin in the treatment of disseminated intravascular coagulation. Int J Hematol 75:540, 2002. Bernard GR, et al. : Efficacy and safety of recombinant human activated protein C for severe sepsis. N Engl J Med 344: 699. 2001. 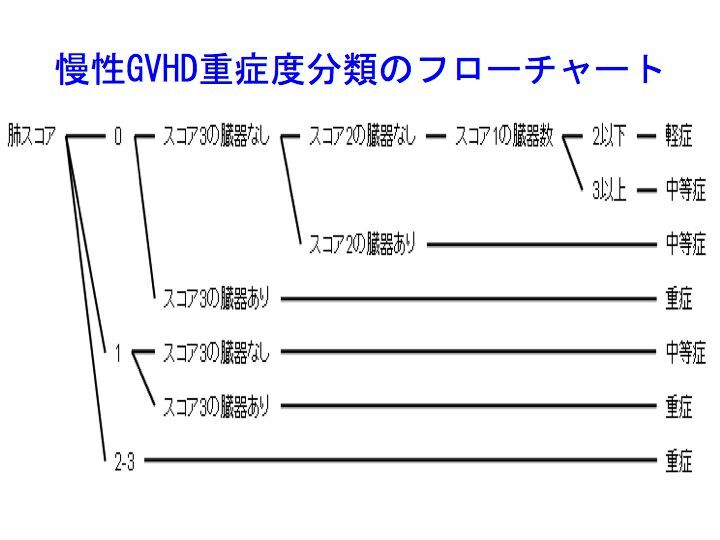 Saito H, et al. : Efficacy and safety of recombinant human soluble thrombomodulin (ART-123) in disseminated intravascular coagulation: results of a phase III, randomized, double-blind clinical trial. J Thromb Haemost 5: 31. 2007. 雑誌名：Thromb Haemost 104: 1228-1234, 2010. 雑誌名：Br J Haematol 152: 340-346, 2011. 雑誌名：Br J Haematol 152: 211-216, 2011. 雑誌名：J Thromb Haemost 9: 510-516, 2011. 雑誌名：J Thromb Haemost 8: 2349-2357, 2010. 雑誌名：J Thromb Haemost 8: 2592-2595, 2010. 雑誌名：J Thromb Haemost 8: 2589-2591, 2010. 雑誌名：J Thromb Haemost 9: 333-338, 2011. 雑誌名：Thromb Haemost 105: 261-268, 2011. 雑誌名：Thromb Res Suppl 3: S113-S115, 2011. 雑誌名：Semin Thromb Hemost 37: 35-40, 2011 . 雑誌名：Thromb Haemost 105: 59-65, 2011. 雑誌名：Thromb Haemost 105: 274-278, 2011. 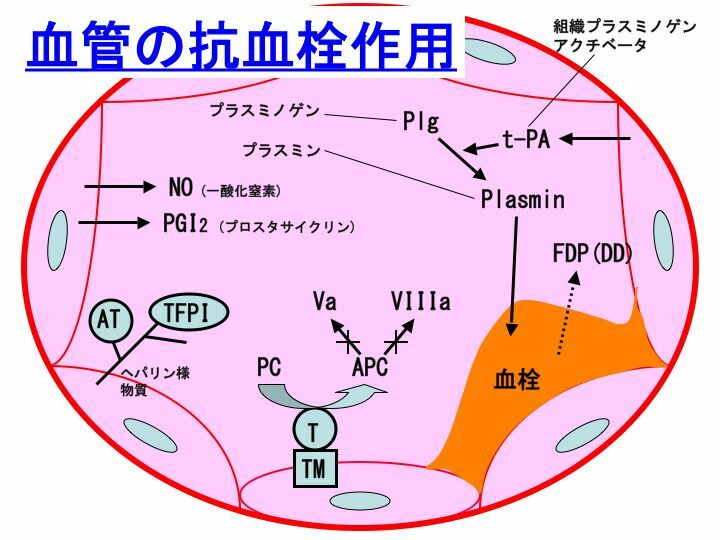 ・プレドニゾロンが著効した後天性凝固第V因子インヒビターの症例　日本血栓止血学会誌 21 :391-394, 2010. 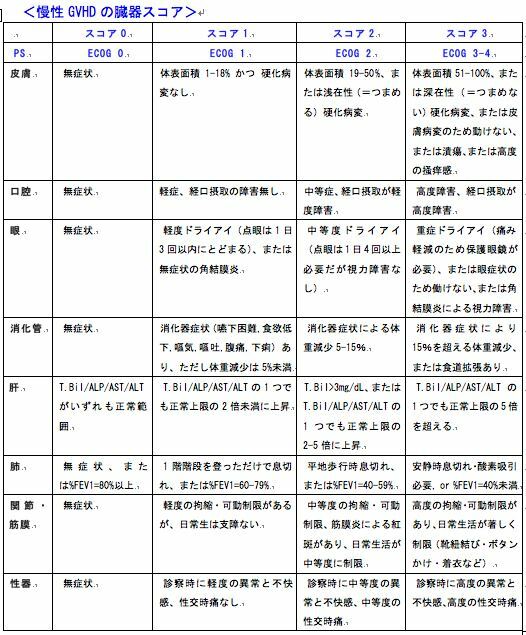 ・血尿が発見の糸口となった後天性第V因子インヒビターの1例　日本検査血液学会雑誌 11: 316-320, 2010. ・先天性第V因子欠損症（重症）における出血症状が軽症である理由　Blood 115: 879-886, 2010. Preville X, Flacher M, LeMauff B, et al. Mechanisms involved in antithymocyte globulin immunosuppressive activity in a nonhuman primate model. Transplantation. 2001;71:460-468. Bacigalupo A, Lamparelli T, Barisione G, et al. Thymoglobulin prevents chronic graft-versus-host disease, chronic lung dysfunction, and late transplant-related mortality: long-term follow-up of a randomized trial in patients undergoing unrelated donor transplantation. Biol Blood Marrow Transplant. 2006;12:560-565. Cutler C, Kim HT, Hochberg E, et al. Sirolimus and tacrolimus without methotrexate as graft-versus-host disease prophylaxis after matched related donor peripheral blood stem cell transplantation. Biol Blood Marrow Transplant. 2004;10:328-336. Oshima K, Kanda Y, Nakahara F, et al. Pharmacokinetics of alemtuzumab after haploidentical HLA-mismatched hematopoietic stem cell transplantation using in vivo alemtuzumab with or without CD52-positive malignancies. Am J Hematol. 2006;81:875-879. Perez-Simon JA, Kottaridis PD, Martino R, et al. Nonmyeloablative transplantation with or without alemtuzumab: comparison between 2 prospective studies in patients with lymphoproliferative disorders. Blood. 2002;100:3121-3127. Morris ES, MacDonald KP, Kuns RD, et al. Induction of natural killer T cell-dependent alloreactivity by administration of granulocyte colony-stimulating factor after bone marrow transplantation. Nat Med. 2009;15:436-441. Przepiorka D, Devine S, Fay J, Uberti J, Wingard J. Practical considerations in the use of tacrolimus for allogeneic marrow transplantation. Bone Marrow Transplant. 1999;24:1053-1056. Hendriks MP, Blijlevens NM, Schattenberg AV, Burger DM, Donnelly JP. Cyclosporine short infusion and C2 monitoring in haematopoietic stem cell transplant recipients. Bone Marrow Transplant. 2006;38:521-525. Bensinger W. Individual patient data meta-analysis of allogeneic peripheral blood stem cell transplant vs bone marrow transplant in the management of hematological malignancies: indirect assessment of the effect of day 11 methotrexate administration. Bone Marrow Transplant. 2006;38:539-546.